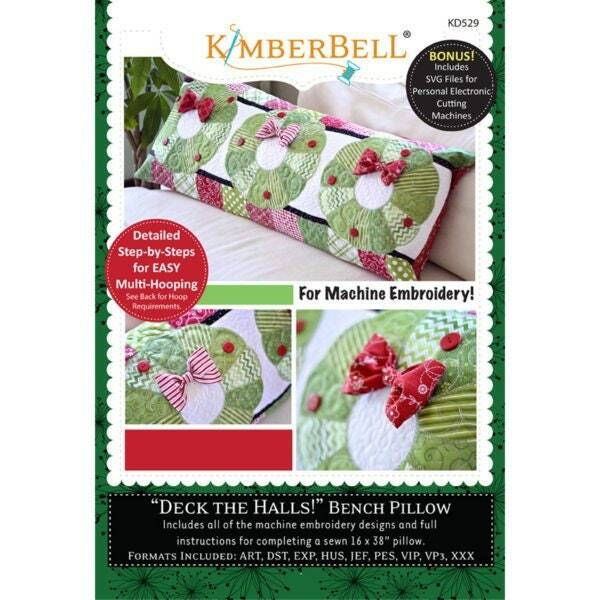 There are 2 “hooping” options available on the CD to complete the “Deck the Halls” Bench Pillow. You can choose which option works best with the hoop you have. Common names of the hoop options are a 6×10 and 9×14. Since hoop sizes vary depending on brand of machine, the embroidery fields needed are listed on the back cover of the CD. 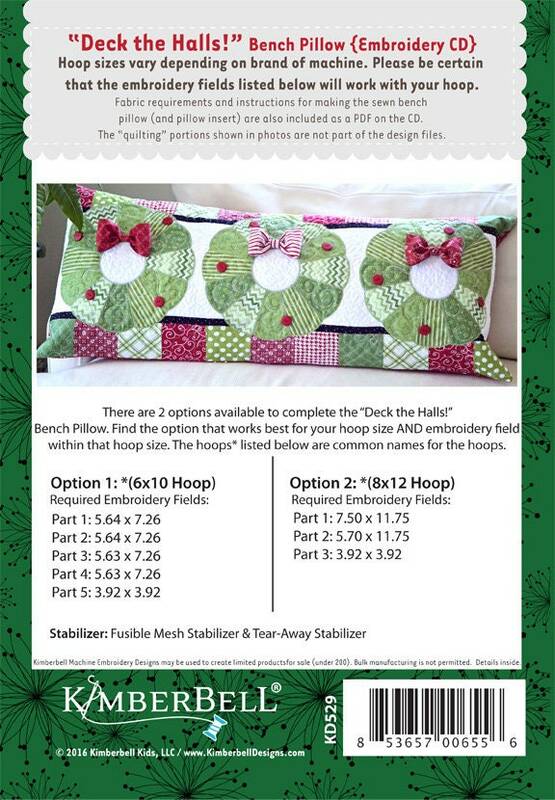 Be sure to check this back cover in order to make certain that your hoop will work with the specified embroidery fields needed.